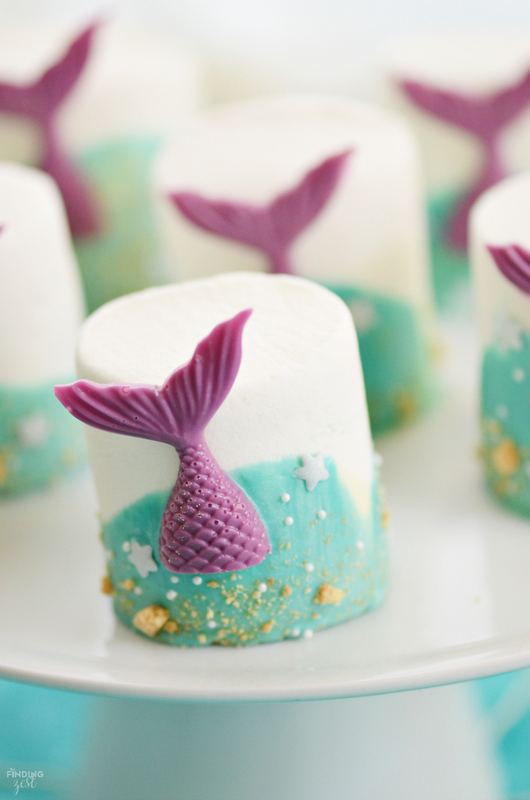 If you are searching for under the sea party ideas, look no further than these mermaid tail marshmallows! 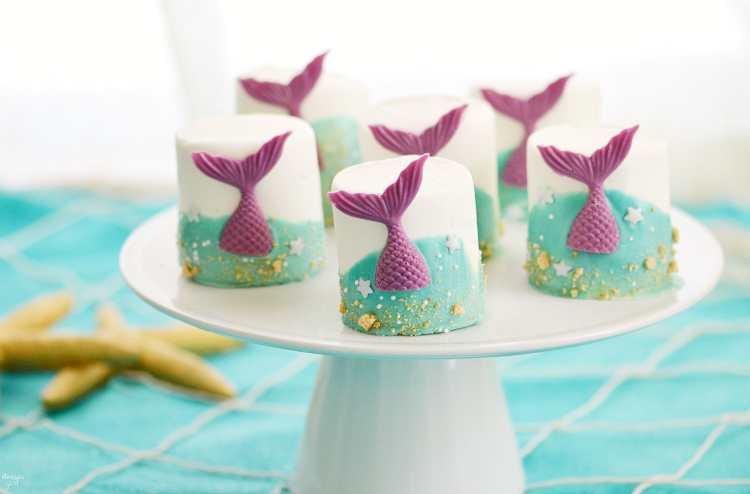 This no-bake treat features colorful chocolate mermaid tails and swirled chocolate waves. 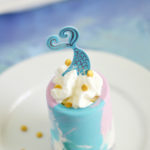 It is the perfect addition to any mermaid party or under the sea birthday themes! My kids loved both the flavor of the marshmallows and fun sea designs. You can easily switch this mermaid tail project up to match the colors of your party but I personally love this aqua and purple color scheme. Get full instructions below and be sure to scroll all the way down to get even more under the sea party ideas at the end of my post. 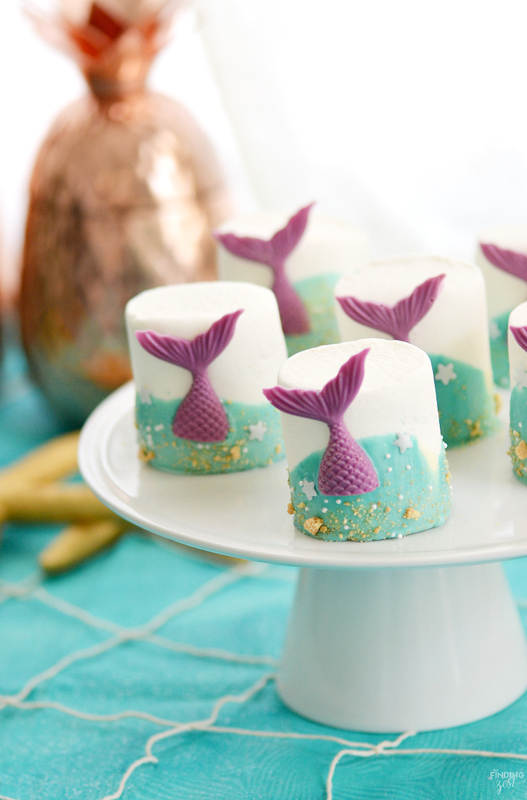 Most of the items needed to make these under the sea marshmallows can be picked up locally, but you’ll need to head over to Amazon for the mermaid tail mold used for this treat. 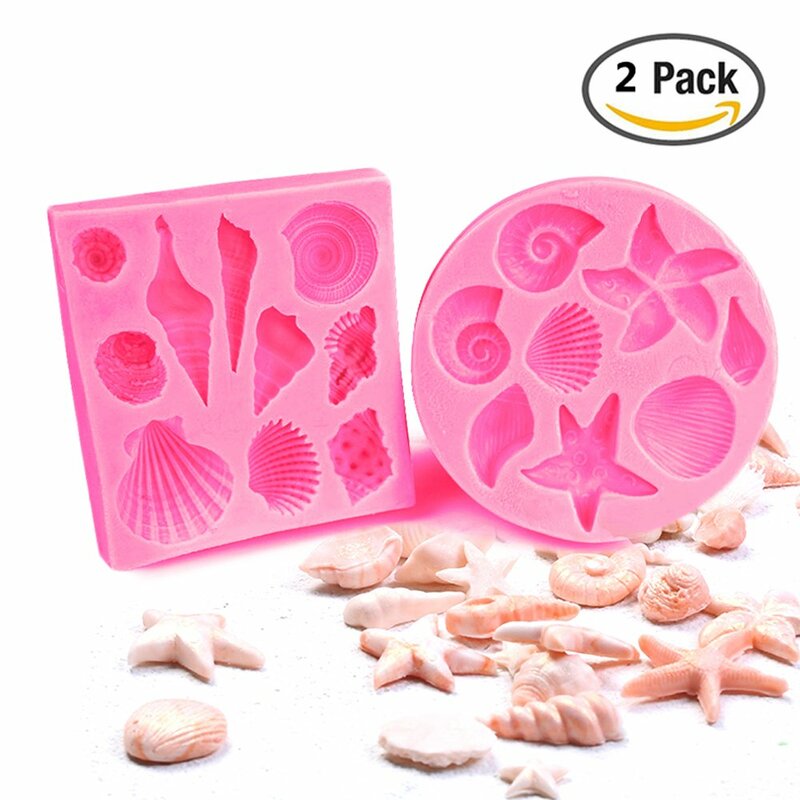 You can also find the colorful Wilton chocolate melts and seashell mold featured in this recipe there too! To make your chocolate mermaid tails, you’ll want to use fully melted candy melts with a tiny amount of canola oil to make the chocolate smooth. This mold is very shallow and starts to set pretty fast so I recommend spreading half of your chocolate over the top and using a straight edge metal spatula to quickly even it all out. It doesn’t need to look perfect but it does need to be even so your backs are smooth. Then gently tap your mold against the counter to remove as many air bubbles as you can. 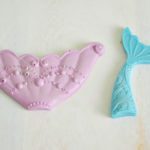 I did a chocolate mermaid tail mold comparison so I have many styles of mermaid tail molds. 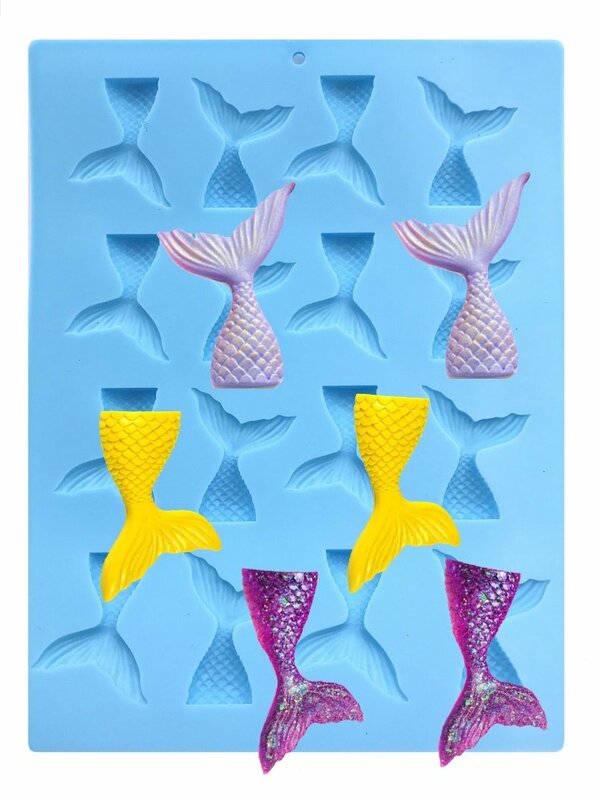 This 16 cavity mermaid tail mold is the only style that would work for this project. The others are just too big, thick and heavy. I like this mold but the tails are the most fragile. While the reviews are generally favorable, the most common complaint others have are how difficult it is to remove the tails without breaking them. Do not leave a lot of chocolate around the edges of each tail when filling your mold. If it isn’t fairly clean around the edge, it is harder for the tail to come out and you’ll have to spend time removing the excess. Refrigerate your tails for about 15 minutes before removal so they are nice and firm. When removing them from the mold, remove them one at a time instead all at once. Do not turn them over and pop them out. Work the silicone away from the tail gently from all the sides so your tail comes off easily in one piece. Do not force it. With these chocolate tail tips, you should be able to remove all if not most of your tails without breaking them. I’ve used the mold three times now and the last time I didn’t break any. For my under the sea dipped marshmallows, I wanted a look that resembled sea waves and foam so I marbled my chocolate. I created aqua by using turquoise melts and white melts mixed together. Then I swirled in a bit of white chocolate again. 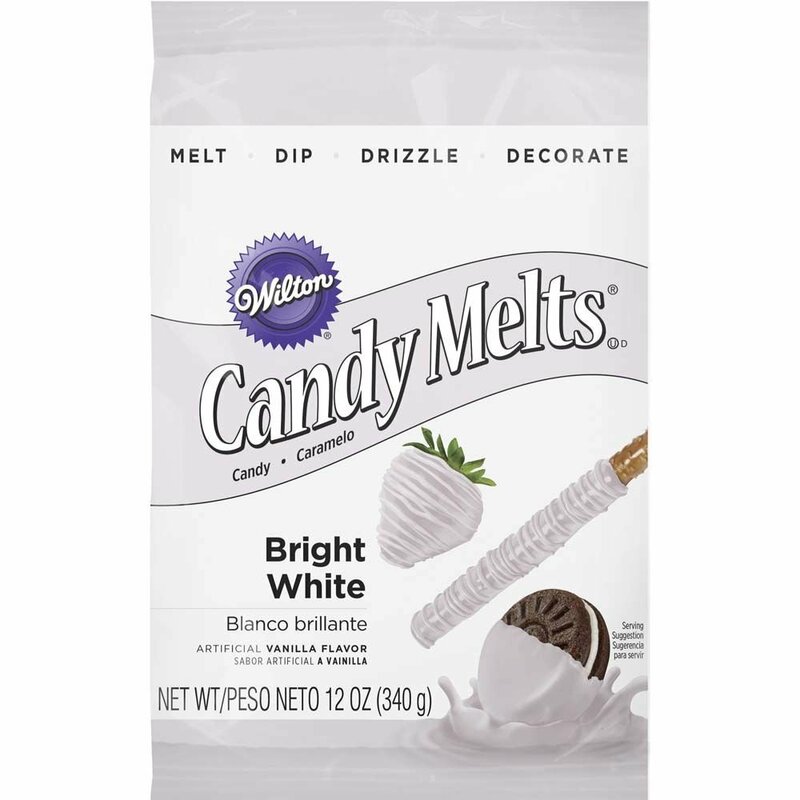 After just dipping a couple of marshmallows you will have mixed your chocolate a lot so I recommend adding dollops of additional white throughout the dipped processing, without mixing it. You can certainly go with a solid color instead and just dip them halfway down. I wanted mine uneven like waves so I gently tipped the marshmallow over a bit while dipping. To remove excess chocolate, be sure to gently shake the excess off instead of scraping so the bottoms are nice and even. Then add your white sprinkles and crushed graham cracker sand all the way around. You’ll want to be sure to hold your tail in place for a good 15 seconds to make sure your tail will stay put. I loved that the tail went over the top of the marshmallow but if you need to transport your marshmallows, this would make them more susceptible to breaking the tails. I would put the tail lower on the marshmallow and pack them carefully if I needed to bring them anywhere. 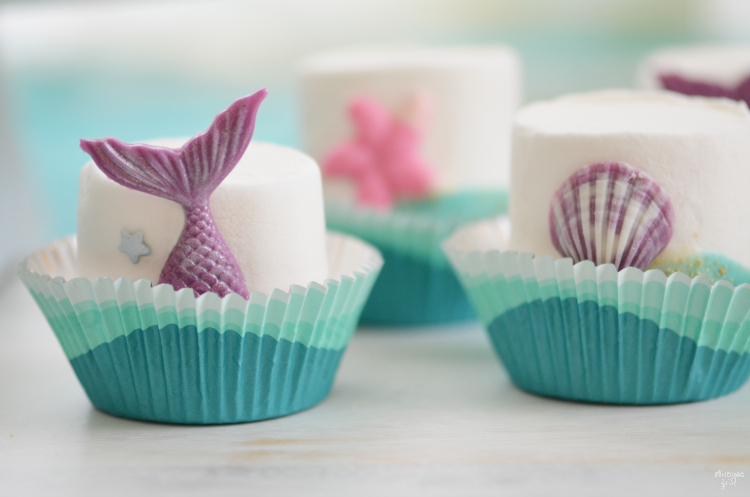 These under the sea marshmallows also look great with chocolate sea shells. To create this look, I used food safe brushes to paint on the different colored chocolate in the molds. 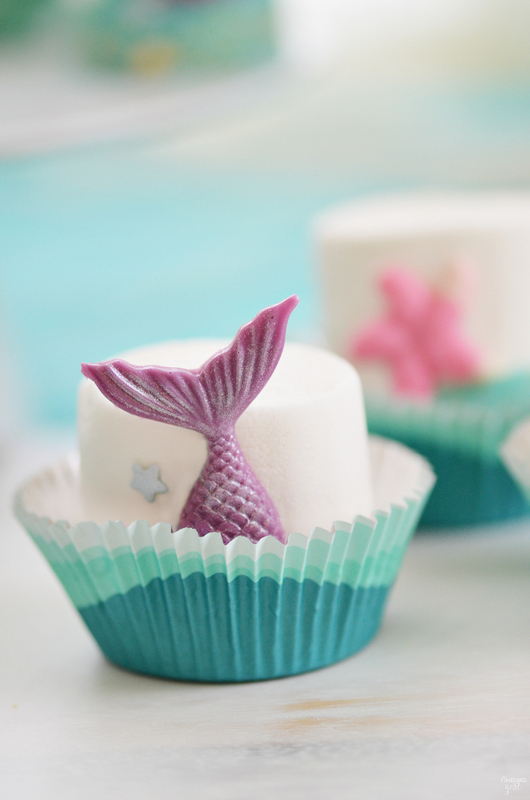 I also tried out another option with these mermaid tail marshmallows. 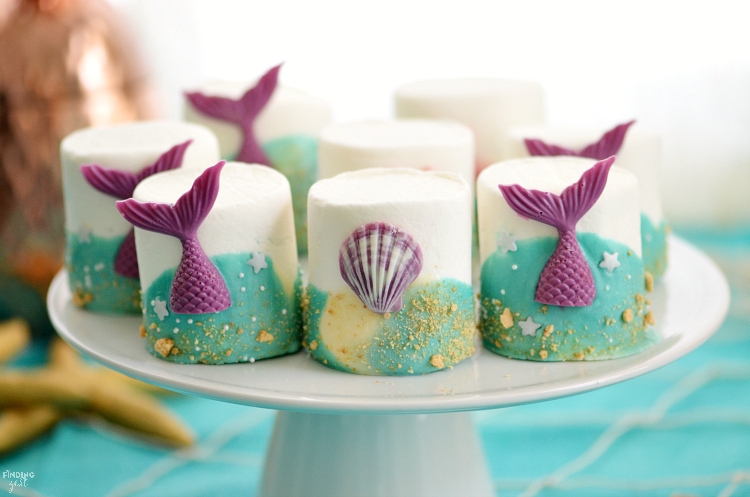 You can skip the dipping and instead use melted chocolate like glue to attach the mermaid tails to the side of the marshmallow. 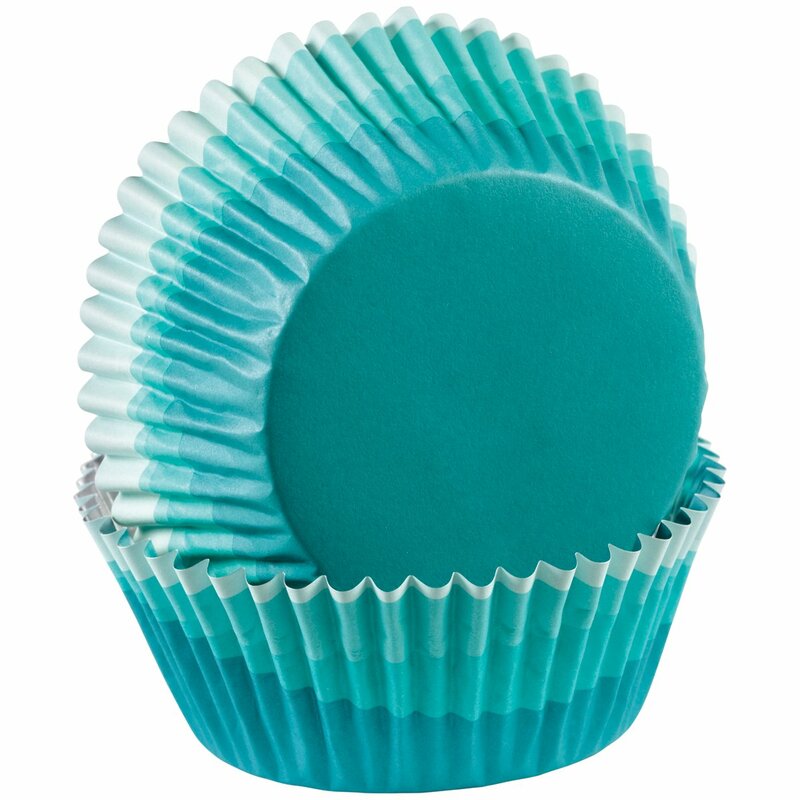 Then simply place them in a baking cup like this blue ombre cup to resemble ocean waves. To add a magical touch to your mermaid tails, you can add silver sparkling dust! Read my sparkling mermaid tail tutorial for more information. There are so many ways to have fun with this tutorial. 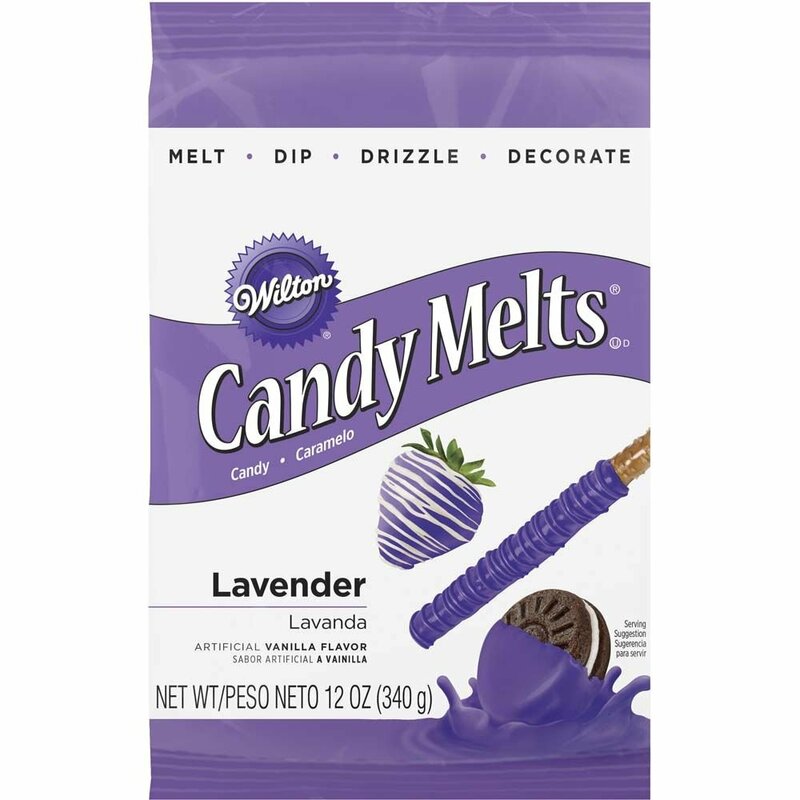 Melt lavender candy melts with 1 teaspoon oil in microwave in short intervals, stirring often, just until fully melted. Spread chocolate into 16 cavity mermaid tail mold and quickly level chocolate with flat edge metal scraper, scraping off excess. Microwave white candy melts or chocolate chips and 1 to 2 teaspoons oil in 30 second intervals, stirring often, just until fully melted. Repeat with turquoise candy melts. 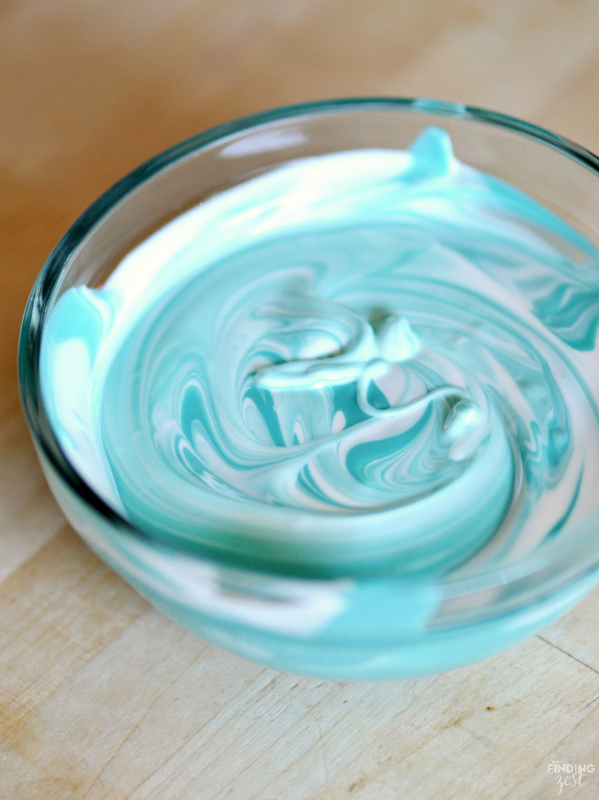 To make aqua, stir together ⅔ cup turquoise and ⅔ cup white chocolate. In small glass dish, swirl a smaller amount of aqua chocolate and white chocolate to create marble effect. 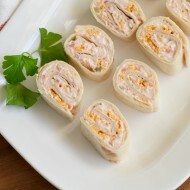 Line a large baking sheet with a silicone baking mat, parchment paper or foil. 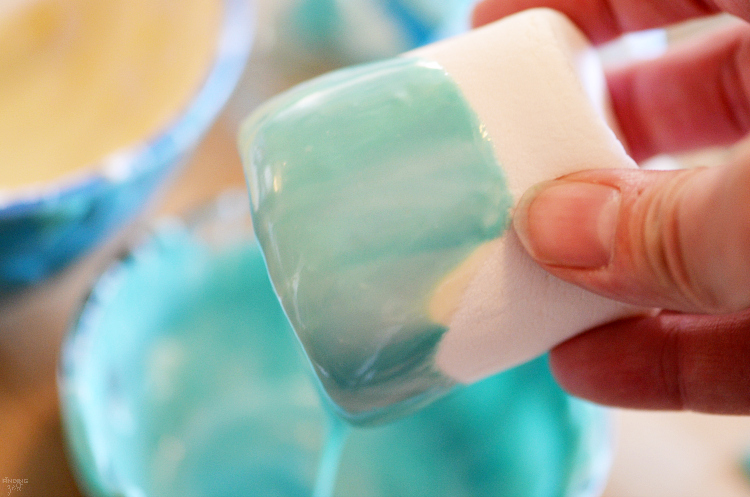 Dip jumbo marshmallows ⅓ or ½ of the way into chocolate, tipping to the side to create waves. Gently shake off excess chocolate. Immediately sprinkle with nonpareils and graham cracker crumbs. 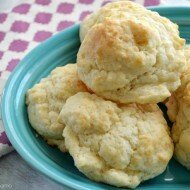 Place jumbo marshmallow on lined baking sheet. 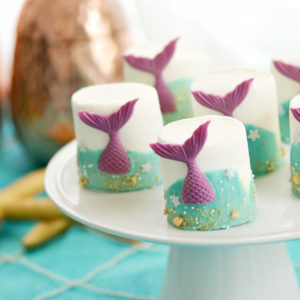 Add one mermaid tail to front of dipped marshmallow, holding for at least 15 seconds or until the chocolate can support the weight. 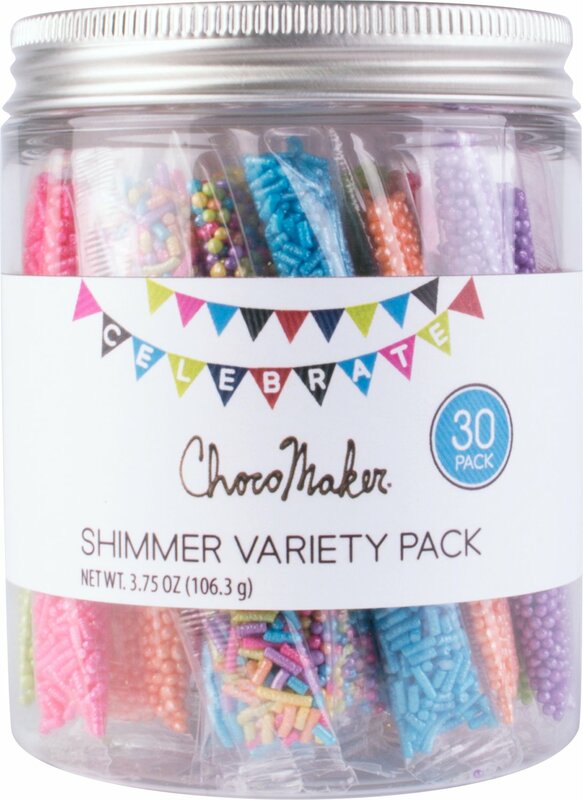 Add star sprinkles if desired. 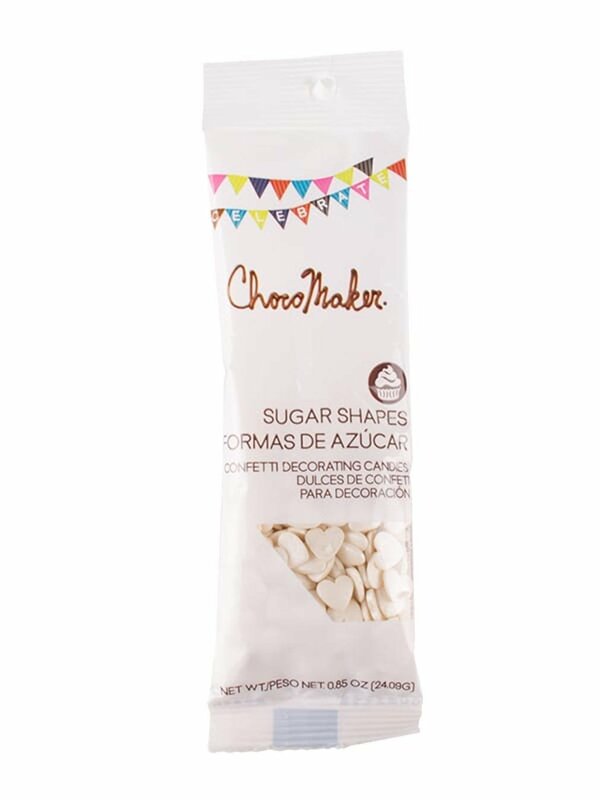 Repeat steps with remaining marshmallows, adding additional spoonfuls of white chocolate to aqua chocolate as you go. Heat chocolate in microwave for a few seconds if it starts to get too thick. Store in airtight container, being very careful with the mermaid tails. If this project wasn’t enough, I’ve got a lot more under the sea party ideas for you. 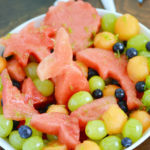 This under the sea themed honey lime fruit salad recipe is a hit for all ages. 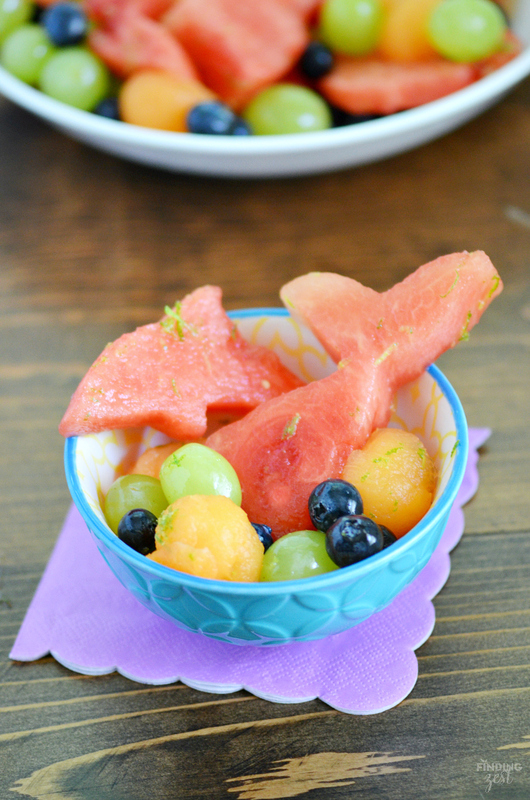 It features fun watermelon cutouts that kids will love and an amazing honey lime drizzle! 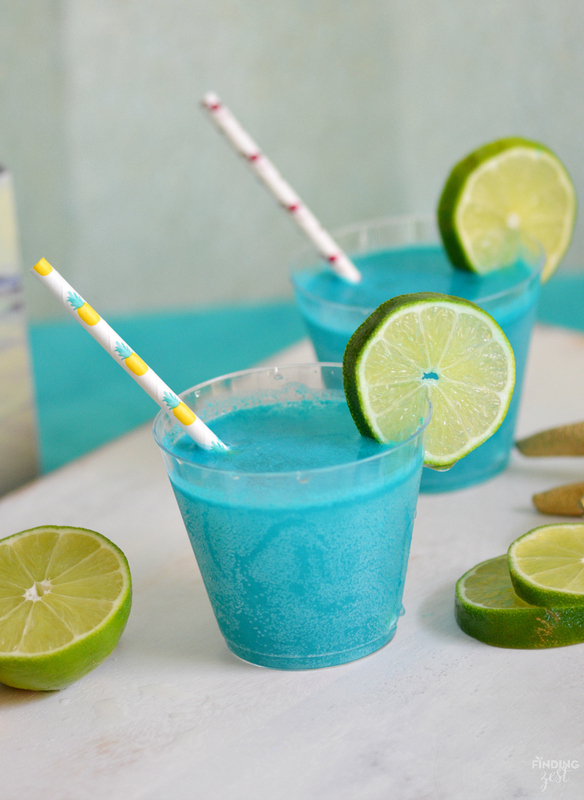 If you need a under the sea party drink for kids, look no further than this tropical punch recipe. It features my favorite tropical flavors including pineapple and pina colada. Yum! 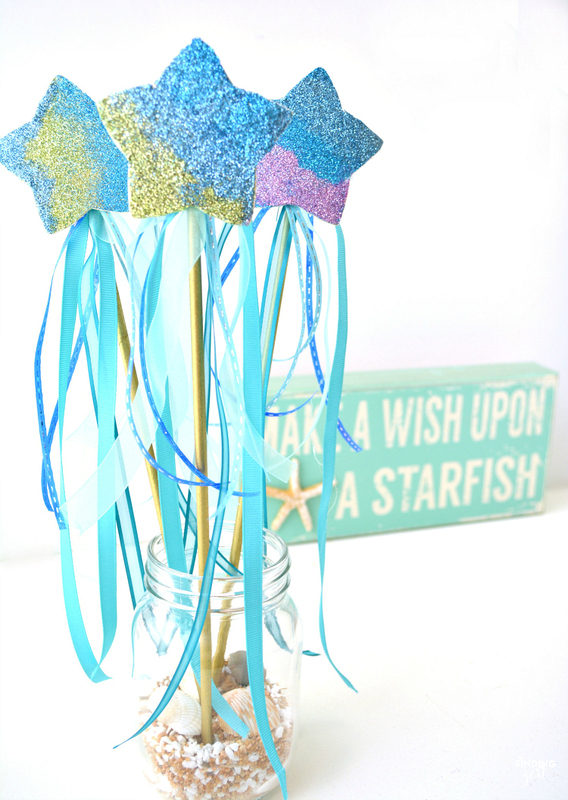 If you need a under the sea party favor or mermaid party craft activity, try these sparkling mermaid wands. With just a few supplies you can make a beautiful wand craft to add a little extra magic to your party. 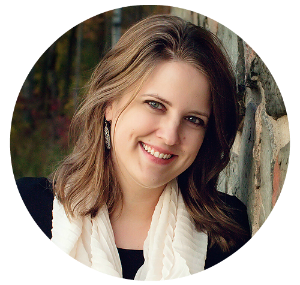 If your party features Ariel, check out these Little Mermaid birthday ideas from The Suburban Mom. I absolutely love her homemade jellyfish decorations and mermaid tails for her party guests to wear. 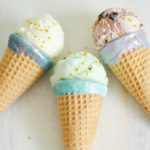 I hope you feel inspired by these under the sea party ideas! Which Chocolate Mermaid Mold is Right for You? 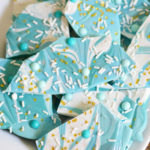 Mermaid Party Bark: Make Some Waves! Thank you so much for your kind words. They were super fun to make! I am OBSESSED with everything mermaid and under the sea! 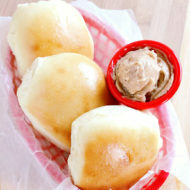 These have to happen very soon over here! What a fun treat for an under the sea party! 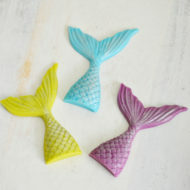 My daughter loves mermaids so we can’t wait to try these!! These marshmallows are insane!! I need to have an excuse for a mermaid party 🙂 Such a clever idea! 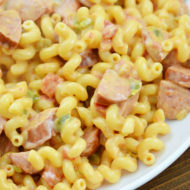 Tried this and it turned out great! Everyone loved them, now I’m planning to do them again on another family get together real soon.